There are many factors for international students to consider when deciding where to study video game development in the US. The best locations for studying video game development will be not only cities with top ranking academic programs; they will also be cities with opportunities for internships and industry connections with active studios. This article identifies the cities that are home to the top game development programs in the US, the three major US game development hubs, and those cities with an increasing number of prominent development studios. International students trying to decide where to study video game development in the United States will be setting out to actually create games with some of the most famous and active game developers in the world. That being the case, the best locations for studying video game development will be cities that offer more than just programs with top-tier academics. This article will identify some of the best locations for studying video game development, as well as provide international students insight into pressing factors to consider when deciding where to study video game development. DigiPen Institute of Technology, Redmond, Washington. Worcester Polytechnic Institute, Worcester, Massachusetts . However, while the prominence and quality of the institution is always a key factor in pursuing any degree, it would be wise for international students to also focus on other criteria when deciding where to study video game development. For instance, given the heavily technical nature of an education in video game development, many skills are universal. This means regardless of where you get your video game development degree, you will learn a fairly standard curriculum. That being the case, it is not necessarily the mere possession of certain video game development skills that will get an international student a job interview. Often, it is having held an internship or formed a connection with active employees in the industry that makes the key difference in landing that dream job after graduation. Therefore, it is important to remember that the best locations for video game development will give international students access to internships and involvement with active video game development studios. Some of these cities have incredibly high proportions of video game development jobs relative to their populations, whereas others are just home to an increasing number of prominent game development studios. Regardless, the above list represents a series of flourishing cities for game development that international students looking for alternatives to the core development cities of Los Angeles, Seattle, and Washington D.C. should consider. Learn more about studying video game development in the USA by reading our growing article collection. 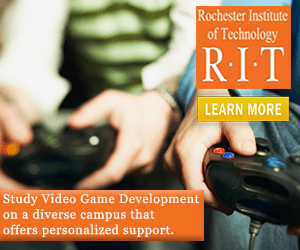 « Study Guide by Subject	« Study Video Game Development in the U.S.